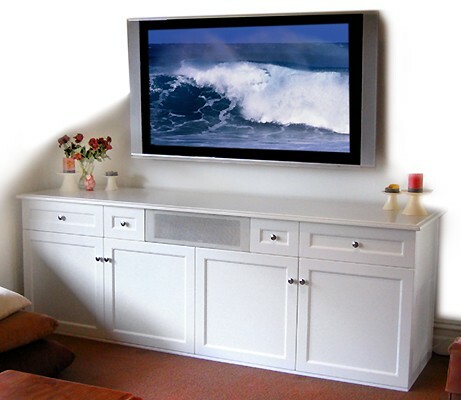 This entertainment unit is styled to suit a renovated beach home. The unit features a sub woofer cupboard with side venting, centre speaker provision, 2 component cupboards and 4 media drawers. It has been finished in 2 pack semi gloss paint.